Touring over here soon Rose’s Pawn Shop are a vibrant bunch who play with a kick in their step with their banjos and fiddles well to the fore. Based in Los Angeles they seem to have a reputation there as a good time party band be it playing in theatres or busking on the streets. There definitely is a Celtic swing to some of their songs which as we all know makes for good time listening. Dancing On the Gallows is their second release and was released in the States back in 2010 however it’s getting a push on the back of their UK tour. Opening with the almost Irish strains of the title song there’s a rollicking good time feel with lashings of banjo and some great harmonies and they continue in this vein with the fiddle and guitar duet on Danger Behind The Wheel. The Bed in Which You Lie adds some rhythm section oomph and beefs up the guitar giving the song a fine honky tonkin’ truck stop vibe while Pine Box reins in the band’s more extravagant flourishes and contents itself with being a very fine medium paced ballad. The highlight here, Pine Box flows like all good Americana songs should as if one was driving on an endless highway and there are some fine guitar flourishes that are reminiscent of the Allmans’ back in their heyday. Almost as good is the following Box Of Flames which pummels along like a runaway train before reaching an exciting guitar driven climax. If they can achieve this level of intensity live then I’d venture they are a sure bet to go and see. Catching up on some Celtic Connections related items here’s our take on a couple of albums released by participants in this year’s shindig. First up is Mary Dillon with North, a fairly traditional album of songs from this Northern Irish singer and sister of Cara Dillon. Mary was a member of Irish band Deanta way back in the nineties but retired from the music business for the past decade or so to raise her family. Stepping back into the fray North is a fine selection of mostly traditional songs on which she sings beautifully and is supported by a very talented group of musicians including former Deanta band mate Neil Martin who arranges the strings on the very affecting lament Edward On Lough Erne Shore. With all of the songs having a connection to Northern Ireland and having grown up with the majority of them Dillon seems to live and breathe by them and this is apparent in the delivery. Her voice appears as if out of a mist, clear as a bell, intimate and warm whether it be unaccompanied on the haunting Ard Ti Chuain which closes the album or the gently lilting and mildly ribald When’s A Man’s In Love which open the proceedings. This is an album that’s as warm as a glass of whiskey on a cold winter’s night, to be savoured and taken at one’s leisure. 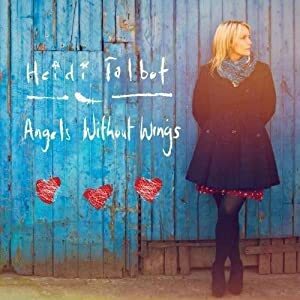 Heidi Talbot chose to have the official release party of Angels Without Wings at Celtic Connections, fittingly enough as it was recorded in Glasgow’s new Gorbals Sound Studios. While she’s backed in the main by her regular band including husband John McCusker and Boo Hewerdine the album includes contributions from such luminaries as Jerry Douglas, Mark Knopfler, Tim O’Brien, Karine Polwart and King Creosote. While stellar line-ups don’t always guarantee a result Talbot has hit pay dirt here as the album is as swell a selection of modern folk songs as one could wish for. From the Hurdy Gurdy folksiness of the title song to the bare boned The Loneliest the playing is excellent and Talbot’s voice hits home with its childlike vulnerability. When The Roses Come Again is perhaps the most traditional sounding song here but the best is saved for last with two heart tugging songs, My Sister The Moon and Arcadia that are sumptuous and beguiling. Pillows of sound waft from the musicians while Talbot sounds vulnerable, cosseted by the very sympathetic playing. 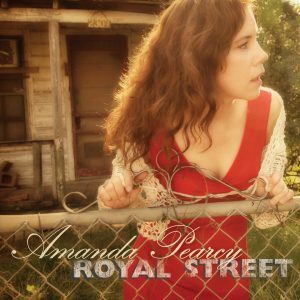 All in all a fine showing from a singer who deserves to be held in the same regard as Sandy Denny and Linda Thompson. 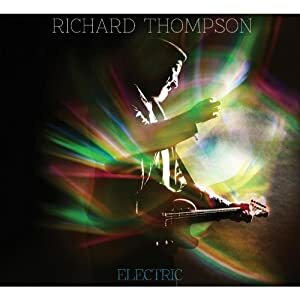 While no one in their right mind would say that Richard Thompson, solo, acoustic, is anything less than riveting it has to be admitted that when he straps on his electric guitar and cuts loose there’s a certain frisson of delight. Frequently cited in polls and lists of the “greatest guitarists” Thompson can rarely be mistaken for anyone else with his biting razor sharp playing which owes little to the usual blues roots and has a uniquely British sense despite him having lived in L.A. for the past two decades. News that his follow-up to 2010’s live album, Dream Attic was to feature a “power trio,” be produced by Buddy Miller and to be called “Electric” was tantalising to say the least and here, at last, is the beast. Straight and Narrow takes Thompson almost into sixties garage territory with its Farfisa sounding keyboard and affords him another opportunity to solo with his notes dripping like quicksilver on a song that pulses with energy. As good as this is the highlight of the rockier songs here is undoubtedly the amazing Good Things Happen To Bad People. This is a stunning song with its muscular beat and ringing guitars that thrash and flail as Thompson (in fine voice) denounces a Jezebel who “cried the day I walked you down the aisle.” Presumably, the acoustic guitar here is by Miller but it lays down a fine challenge to Thomson who unleashes a wicked solo that tears and bites with a ferocity appropriate to the protagonist’s wounded anger. Sparse, with only acoustic guitar and occasional accordion, it is cold and lonesome and the introduction of Alison Krauss on harmony on the chorus only serves to emphasise this. A wonderful song and a fine reminder that Thompson might be one of the finest guitarists around but more importantly he is one of the finest songwriters we have. Jim Dead. I’m Not Lost. “There’s a thunder looming” goes the weather forecast for Deadsville , that mythical hinterland where Jim Dead and occasional compadre Craig Hughes hunker down and sustain themselves with helpings of tinder dry musical epistles that smell of brimstone and dread. Expertly mapped out on Ten Fires, Dead’s last album, he returns to Deadsville in I’m Not Lost with Hughes riding shotgun having ditched the rhythm section somewhere back along the trail. Dead and Hughes have indeed hunkered down in Glasgow’s Ohm studios and transformed the damp bleak Scottish winter into their sun scorched and parched mythical landscape. A six-song expedition this is leaner than and not as mean as Ten Fires. No one gets lynched but the outlook remains as bleak as bleached bones as Dead sings and almost moans in ominous fashion. Steady Us opens the disc with Hughes in a Morricone mood, his guitar cracking the sky open and then rumbling along with menace as Dead delivers some nihilistic words. Nine Years continues in this vein with Dead coming across like a voice from the grave, a sense that is accentuated by the whelps that close the song. Gold + Silver finds Dead solo, hesitant and fractured but Hughes returns with his switchblade guitar on the snappy suicide note of Giving Up The Ghost. Stealing A Mile is the standout track here, slow, brooding, filled with menace and foreboding. With Hughes’ guitar creating a sonic sandstorm over Dead’s acoustic drone Dead foretells of the storm a coming and proclaims “I’ve not cared much for sunny days or bright afternoons in the haze. Give me clouds and give me rain.” As on most of the songs the lyrics are opaque allowing the listener to imagine a scene while the music is almost cinematic.Dead states on his website that he’s been listening to Calexico and and it’s most apparent here. The closing song Head Full Of Booze however comes across almost as a traditional number lamenting the demon drink and the havoc it wreaks. With Hughes’ guitar more lyrical and almost pedal steel sweet it could have been Hank William’s last song.